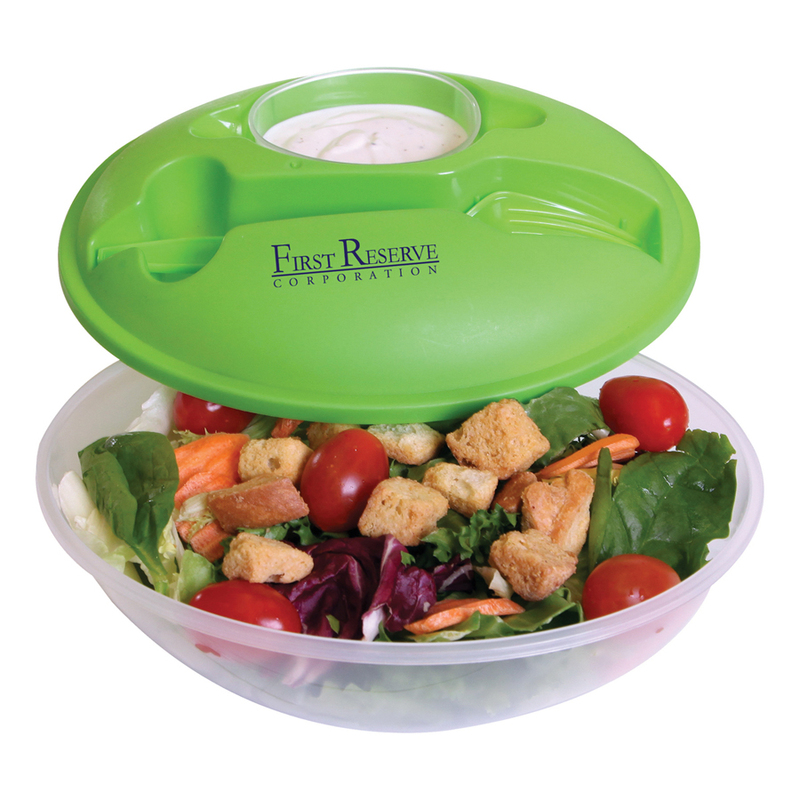 A fantastic logo branded food container that your target demographic will love. Designed for enjoying salads, these containers have a dressing container on the top as well as a fork that snaps securely onto the lid. These containers are also fantastic for enjoying other foods such as: soups, stews, pastas just to name a few. 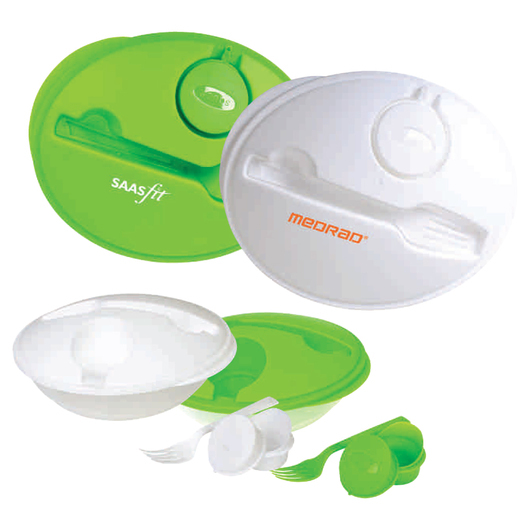 The lid seals air-tight to keep food fresh! 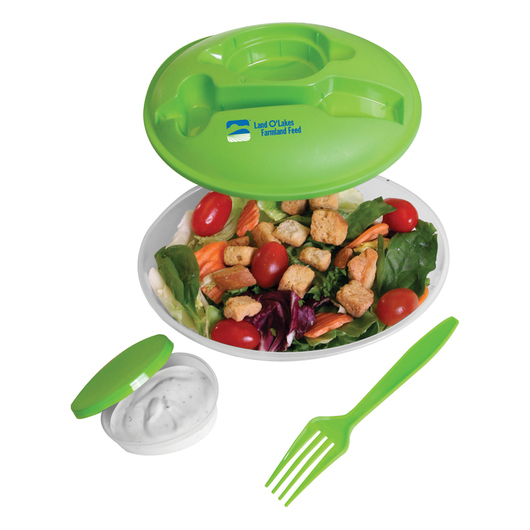 Makes organising lunch for work or school easy!